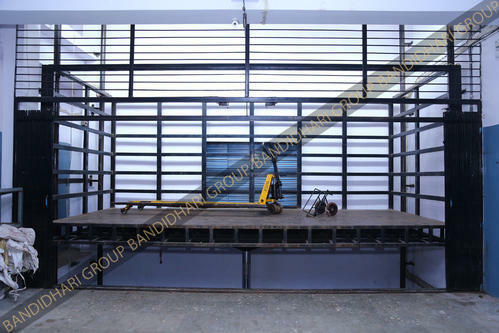 We are a famous manufacturer and exporter of the wide assortment of Goods and Car Lift. These products are admired for their excellent performance and long service life. Established in the year 2001, Bandidhari Industries is the leading manufacturer of Car Lift, Goods Lift, Imperforated Door and much more. We are also providing services of Metal Roofing Solutions. Manufactured making use of supreme in class material and tools; these are in conformism with the norms and guidelines defined by the market. Since our inception, we are working beneath the supervision of our skilled mentor Mr. Dhramesh Gohil.